Which Of These Rogue One Star Wars Characters Are You In The Office? 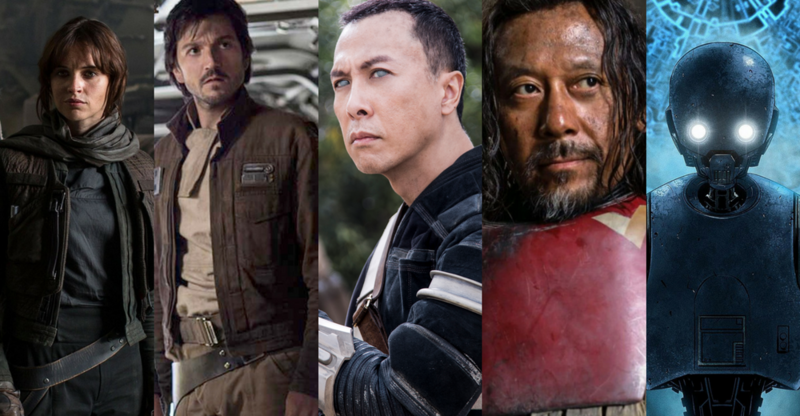 Which Of These 5 Rogue One: A Star Wars Story™ Characters Are You In The Office? One of the most anticipated movies of the year is set to be released in just a few more weeks. Rogue One: A Star Wars Story™ will be released on December 15; the events of the movie will detail what transpired during the blank period between Chapter III and Chapter IV of the franchise. The movie introduces a group of new characters but we already have some information released with short sneak peeks into how their personalities are. You can take a look at the trailer here for a better feel of the characters and what they’ll be like. To get yourself more excited for this movie, Giant and The Walt Disney Company Southeast Asia are collaborating to bring you something special. Click here to see what surprises they have in store! There will be an exclusive range for Rogue One: A Star Wars Story™ organised by Giant for fans of the franchise to purchase. The merchandise will be available from November 3 – December 31 and the hypermarket will also partner with Caltex and P&G for additional benefits. Customers who spend RM30 at all Giant stores and Caltex stations throughout Malaysia will be entitled for 1 stamp. Besides those avenues, purchasing certain P&G products can also gain you a bonus stamp. Once 10 stamps are collected, the special range can be purchased at a discounted price. For example, a 24 inch luggage bag will be available from RM499 to RM149.90 after the 10 stamps are presented. For a better idea of the items that will be available for purchase, check out the video here. With such a range of personalities on display in the movie, it’s very likely that there’s at least one hero that appeals to you. However, rather than watching their heroics onscreen, have you ever wondered what they’ll be like in real life? We try to look at the team of five main characters and imagine what they’ll be like in an office setting. Out of the five, which do you feel characterises you best? After all, I’m sure many of us feel that our workplaces are battlefields where wars are being fought. That being said, we’ll tell you a little bit more about them and you can see for yourself who you’re like in the office. 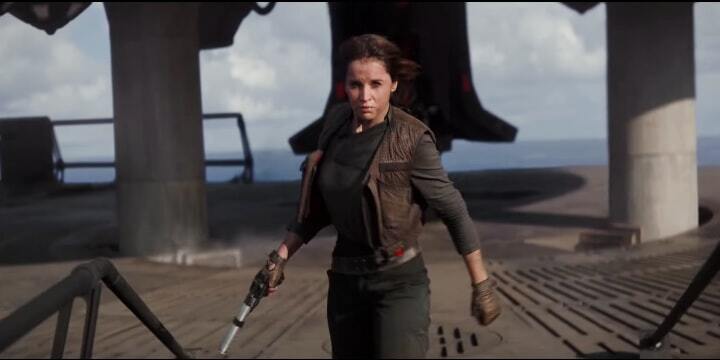 Jyn Erso is the main protagonist who’s been described as “reckless, aggressive, and undisciplined” and prefers to take matters into her own hands due to what little patience she has for debate with the Alliance High Command. It’s not all negative—she’s also very knowledgeable and street-smart. In a war, she’s the perfect comrade to watch your back. If you’re like Jyn, you’ll find yourself very independent and reluctant to bow down to authority. You can only serve under a boss you respect or else there’re definitely going to be clashes in the office. Your bosses may often be exasperated with you, but they won’t be able to deny that you produce good work. Team work? Not your thing. After all, you suffer no fools. Someone like you won’t thrive in a structured office environment; you’re better striking it out on your own instead or joining a company that doesn’t follow strict hierarchy or protocol. 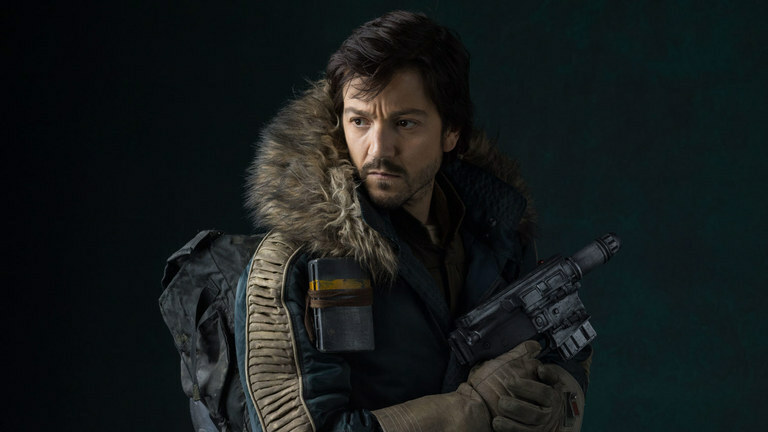 Cassian Andor is an accomplished Alliance Intelligence officer with much combat experience. He’s also very “by-the-book” and was brought into the team to steady the volatile Jyn. He’s committed, steady and also rather reserved. You’ll relate to Cassian if you’re someone who always thinks before speaking. You have all the right experience and qualifications, but you don’t believe in charging ahead into some new venture simply because it looks interesting. You’re not going to rub it into someone else’s face that you know better than they do though. You’re classier than that. Most of the time, your colleagues love you. In fact, many of them tease you a little, because they feel that you’re a tad too strict with following the rules and the deadlines. You’ll fit right in with large organisations that have set career paths in place with SOPs and rulebooks. Look forward to regular promotions and glowing reports from your supervisors! On the flip side though, a less structured environment might even make you feel uncomfortable. You might even find yourself writing out SOPs and rules for others to abide by. Chirrut Imwe is said to be deeply spiritual, believing all things to be connected through the Force. He has devoted himself to the ways of the Jedi, using his spirituality to overcome his blindness and become a formidable warrior. You would understand Chirrut’s perspective if you always can keep your calm. After all, you have the right qualifications, skills and team for the job. It’s just a matter of doing it right. You already believe in what you do and what your company does. You’re a loyal worker—you’ve found what works and you’re going to stick with it. Your Zen-ness is usually very appreciated in a high-stress office. You’re adaptable enough to work basically anywhere; not much will shake you and your bosses are fools if they don’t value your loyalty to them. Be careful of being too single-minded in what you want. Not everyone is going to be able to relate to that. Being a freelance assassin prior to joining the Rebels, he placed money before anything until he found a greater cause fighting against the Empire. 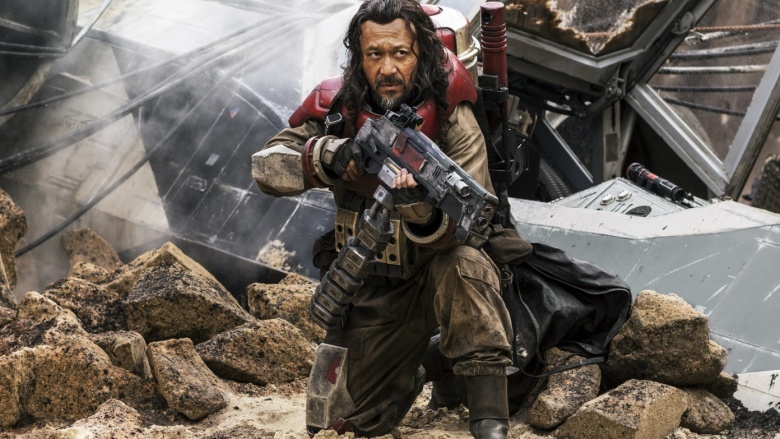 Think of Baze being the polar opposite of Chirrut. Rather than having a strong spiritual side, he approaches things in a more pragmatic manner and can be quite pessimistic. There’s realistic, and then there’s being a total downer in the office. If you’re like Baze, you have to be careful not to express your negativity all the time. You’re going to be rather impatient with others at times, because you’ll see them dilly-dallying around a decision where you can see the solution right away. With skills honed to perfection, you’re a top performer at the office. Just don’t rub too many people the wrong way with your bravado and brashness, and you’ll be fine. A powerful security droid described as “the antithesis of C-3PO”, K-2SO is tough, confident and not interested in human/cyborg relations. He doesn’t care about what others think and speaks the harsh truth. It’s all well and good to say that honesty matters, but sometimes, to do well in a workplace, you have to be able to know when to be diplomatic. You might fare worse than the Bazes in your workplace, because you don’t even care if you’re offending anyone. It’s very tiring to try to do everything by yourself, simply because you think you can do better on your own. You might be better off starting your own thing, but you’ll eventually feel lonely and isolated. Let go of your perfectionism a little. And it’s ok to join those office lunches once in a while. After all, no man is an island, and you are definitely not a robot. After reading it through, is there a character you liked the most and are rooting for this coming December? Just like how they all come together to make a great team, having different personalities in one office is crucial for growth and to challenge each other once in a while. Whoever you relate to and whoever you feel is furthest from your personality, even if you wouldn’t want to be on the same team as them in an office, you’d probably want to be on their side when the rebellion goes against the Empire. Excited about the movie yet? Start collecting your stamps to get discounts on travel luggage, Death Star umbrellas, tin lunch boxes or drawstring bags. This exclusive Rogue One: A Star Wars Story™ merchandise is now available in Giant Hypermarkets stores, so get them before they run out!